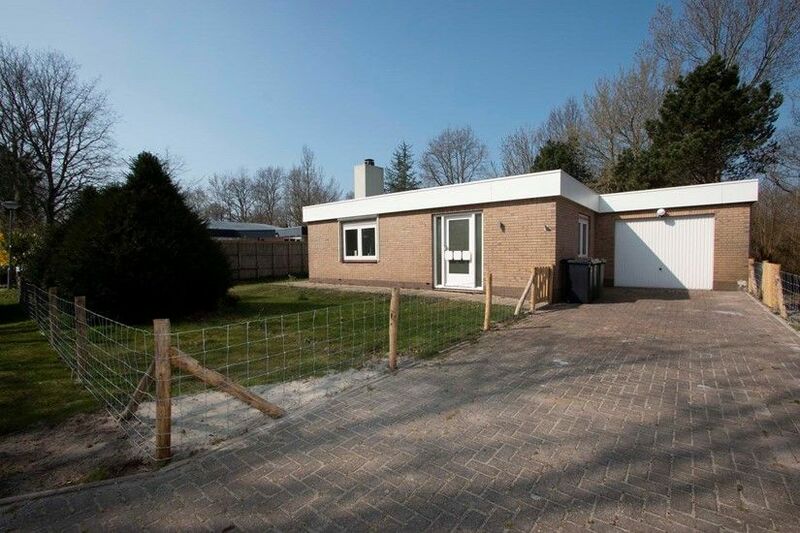 On an open spot in the woods, located in the wonderful diverse nature of Zeeland and close to the lighthouse of Nieuw-Haamstede, you’ll find holiday home Populierenlaan 10 ‘’Mr. Blue Sky’’. The sunny located bungalow is the ideal place to unwind and enjoy privacy. The groundfloor house has a fresh interior and a spacious living with an atmospheric fireplace for the colder days and a sliding door that allows you to directly access the terrace in summer. The dining area is bordering to the living, just as the large open kitchen that is modernly equipped. Furtermore, two bedrooms with comfortable boxsprings, a bathroom with shower, toilet and tub and a storage with washing machine are present. The large, woody garden with lawn and two terraces offers you optimal privacy. Here, you can enjoy the sun on the sunbeds. The fully enclosed garden is child- and dogfriendly! Your bikes are safe in the garage and there is plenty of parking space. For a ‘’lazy summer”- or “winter-wonderland” feeling, this house is certainly ideal! This accommodation is not rented to adolescents (aged <25 years) and/or groups.